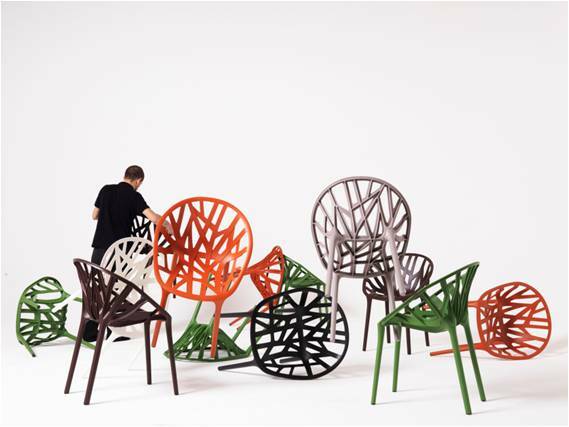 Ronan and Erwan Bouroullec, Vegetal Chair, 2008, polyamide. 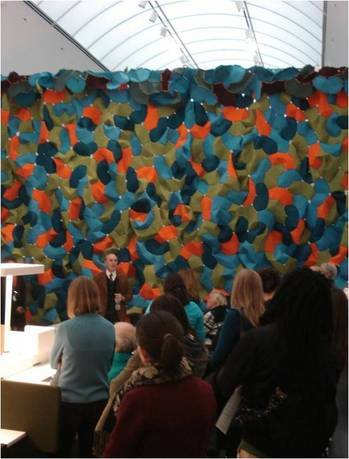 Produced by Vitra, Courtesy of Vitra, Photo: Studio Bouroullec. 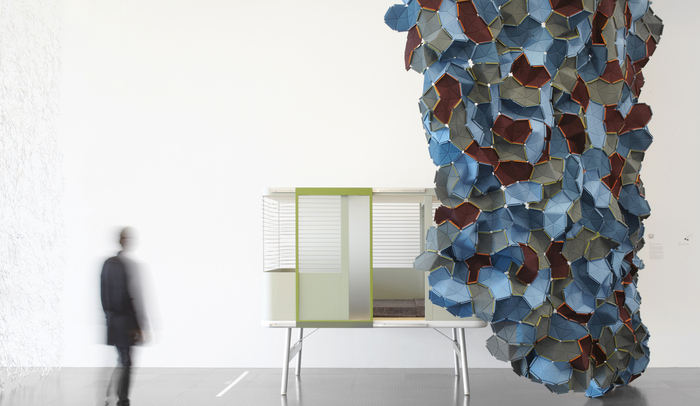 Bivouac is the first major solo exhibition of work by renowned French designers Ronan and Erwan Bouroullec, the result of almost fifteen years of mutual collaboration. The brothers' furniture and design work is defined by its transformative and immersive power, which has also led to truly innovative solutions for cost-savings, sustainability, and even rescuing dying craft traditions. Imagined as a temporary encampment—hence its name—visitors will be invited to wander around the gallery, moving between prototypes and finished objects, mass-produced and hand-crafted works. Bivouac highlights the immense diversity of these creations and economies achieved in production. It also addresses key concepts in the Bouroullecs' research: objects which are nomadic, ephemeral, modular, organic, and flexible. The exhibition is not a retrospective of their work, rather, it illustrates the current state of their designs and research, which are in constant evolution. 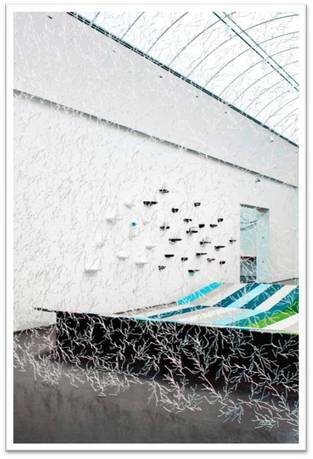 Ronan and Erwan Bouroullec (born 1971 and 1976, respectively) were raised in Normandy, and now work in Paris, where they bring high-tech manufacturing ideas and solutions to iconic furniture and design formats. 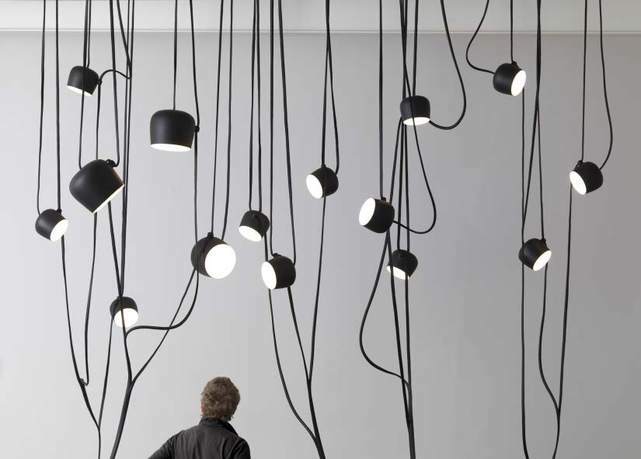 The Bouroullec's have worked with some of the largest and most influential manufacturers in the field—Kartell, Vitra, Ligne Roset, Kvadrat, Cappellini, Magis, and Hans Grohe, among them—and are a constant presence in design magazines and fairs. 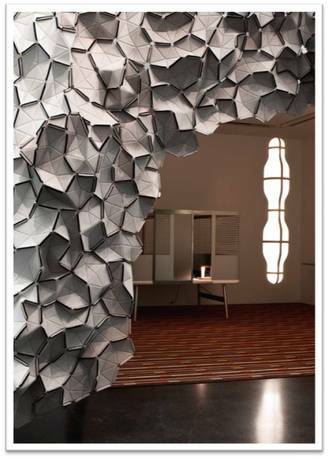 They have also received the Designer of the Year award at the Paris Salon du Meuble (2003), the Grand Prix du Jury international at the Paris Furniture Fair (1998), and a Compasso d'Oro nomination in 2001 in Milan, in addition to designing the interior for Issey Miyake's APOC shop in Paris. The Centre Pompidou-Metz is the organizer of Bivouac. It is a museum of modern and contemporary arts and a branch of the Pompidou Arts Center in Paris. It features temporary exhibitions from a large collection of the French National Museum of Modern Art, the largest European collection of twentieth- and twenty-first-century arts. The museum is the largest temporary exhibition space outside Paris in France, including three galleries, a theatre, an auditorium, and a restaurant terrace. The mission of the Museum of Contemporary Art (MCA), founded in 1967, is to be an innovative and compelling center of contemporary art where the public can directly experience the work and ideas of living artists and understand the historical, social, and cultural context of the art of our time. The MCA boldly interweaves exhibitions, performances, collections, and education programs to excite, challenge, and illuminate our visitors and to provide insight into the creative process. The MCA also aspires to engage a broad and diverse audience; create a sense of community; and be a place for contemplation, stimulation, and discussion about contemporary art and culture.